There are a couple Nadoz cafes in St. Louis. After some shopping we popped into the one at 12 The Boulevard Saint Louis, Richmond Heights. The Nadoz Cafes serve breakfast, brunch, and lunch with crepes, soup, quiches, sandwiches and drinks. They also make desserts and have a bakery. 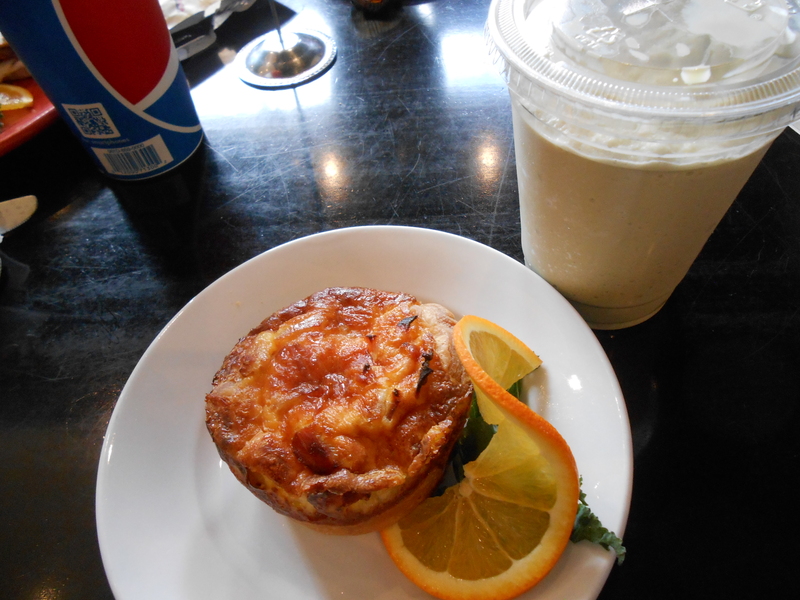 I ordered their turkey and cheddar quiche and the Grinch which was a green tea frappe. I enjoyed both. I liked the atmosphere but was a bit confused since they bring the food out to you but you have to pick your drink up at the edge of the bar.